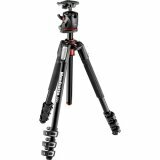 Borrowing technology and design from its larger sibling, the black BeFree One from Manfrotto is a sturdy, ultra-compact aluminum tripod for your mirrorless camera, point & shoot, and lightweight DSLR. 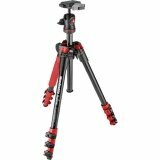 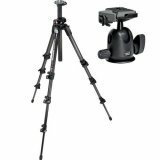 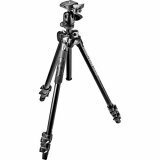 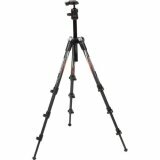 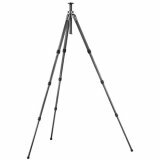 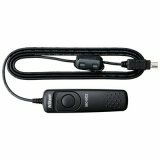 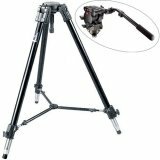 The tripod features a maximum height of 51.2", supports up to 5.5 lb, and folds up to only 12.6". 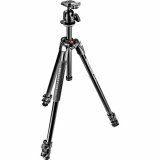 Each of the tripod's legs can be spread independently, allowing the tripod to be used on uneven terrain or lowered close to the ground for macro shots, dramatic landscapes, and creative portraits. The legs invert to fold up and around the ball head, a feature that helps makes this tripod so compact. 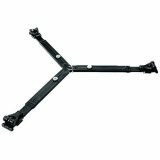 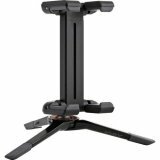 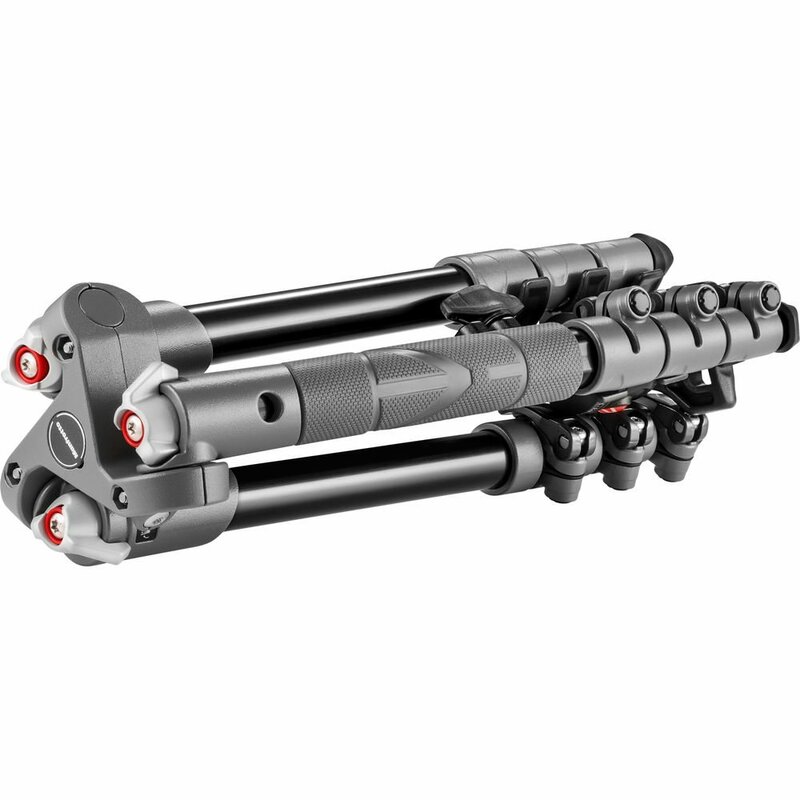 Each tripod leg features four independent sections controlled by easy to use flip style locks which allow for rapid set-up. 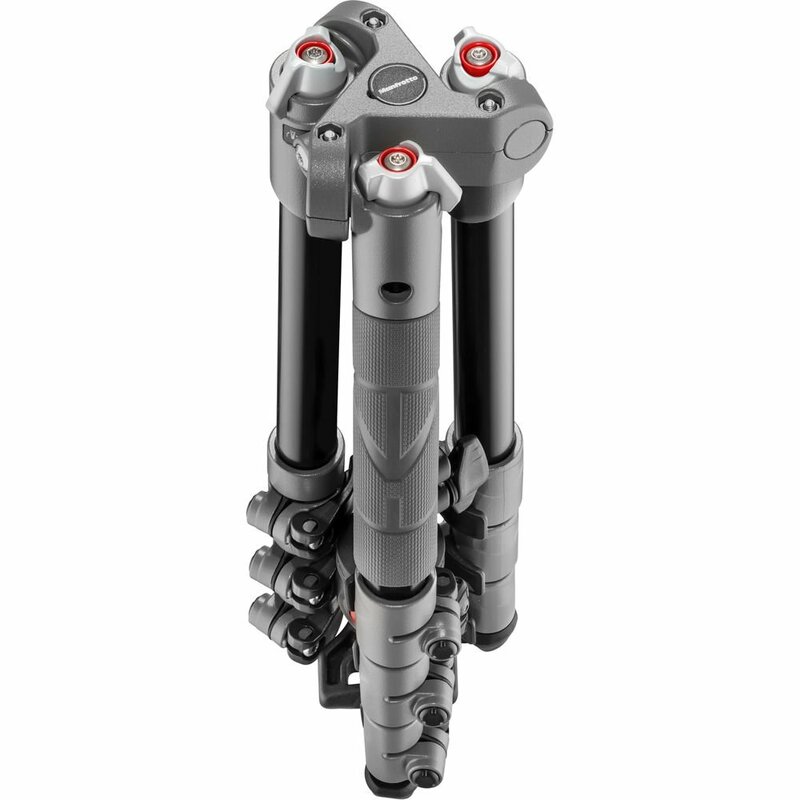 The center column uses a 2 section design to achieve greater height when needed. 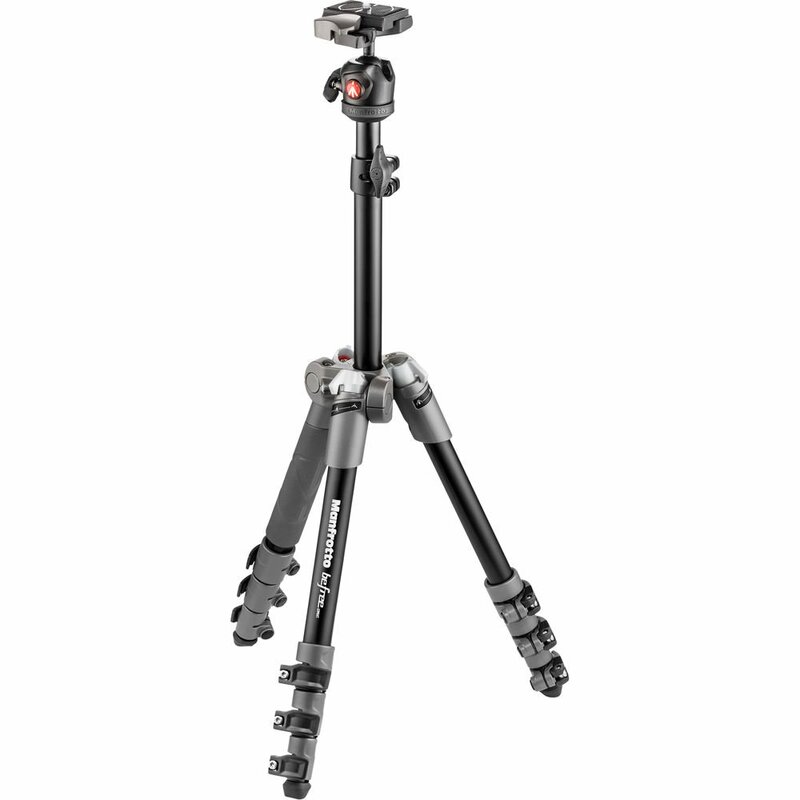 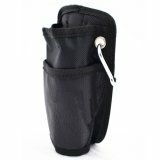 The included ball head is equipped with a single action lock, a 200PL quick release plate with 1/4"-20 mounting screw and a durable carrying case for storage and transport. 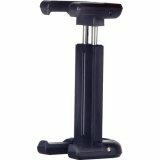 Box Dimensions (LxWxH) 14.6 x 5.0 x 4.8"